Customer and client satisfaction don’t often happen by accident. More often, satisfaction is accomplished through research, training, implementation and ongoing improvement. SQF Level 2 certification helps every step along the food chain achieve. SQF Level 2 Food Safety Management System certification is quite a mouthful. But the bottom line is simple: food safety and reliability through voluntary adherence to industry-wide standards. In flexible packaging, it means integrity all the way. 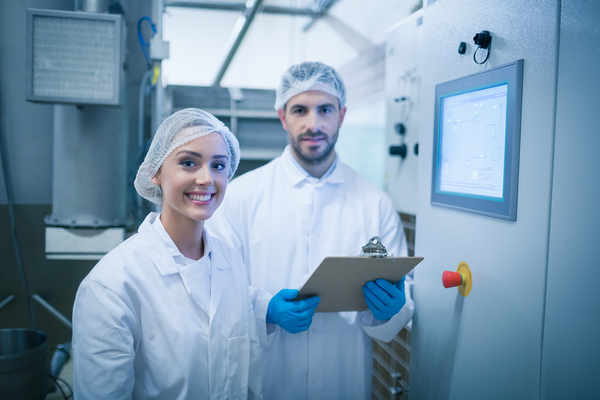 SQF Level 2 certification is the gold standard for the Food Safety Modernization Act Final Rule and Current Good Manufacturing Practices (CGMP) education and compliance. It prepares the industry for guidelines that are now in force and those on the horizon. CGMPs regulate the design, monitoring, and control of manufacturing processes and facilities, says the FDA. SQF Level 2 Certification supports uniformity in safe food processing, handling, packaging, and distribution guidelines. The program is recognized around the world, says SQF Institute, for “robust food safety control systems” and an ongoing monitoring process that ensures ethical standards dependable, high quality. From market to table, people depend on grocery items to nourish, not endanger. The FSMA and CGMPs help protect consumers against inconsistent manufacturing processes and ultimately, unsafe food. SQF Level 2 certification pulls it all together for food processing and packaging industries in an approachable way. Every link in the food supply chain affects the next, says SQF Institute. Consumers want verifiable evidence of food safety, and so do retailers because safety issues are often difficult to detect just by looking, smelling or even tasting. Certification is proof that the food was handled with the best level of care that’s both known and available at the time. Retailers can stock safe foods, which lets moms and dads serve breakfast, lunch, and dinner with confidence. Regulatory compliance and SQF Level 2 Food Safety Management System certification are brand integrity building blocks. High-quality food and food packaging make clients and customers happy. If it’s available every time, it’s not an accident; it’s the way the company does business. Certification gives customers certain assurances. Assurances lead to goodwill, and that makes the company brand as strong as it can be. Certification is a promise kept. At CDF Corporation, our flexible food packaging is reliable for you and everyone your brand touches. That’s why we recently earned our stripes with SQF Level 2 and what we aim for every day. Download our food packaging product and pricing brochure to learn more about the flexible packaging options available to you and how our integrity helps support your good name. CDF Corporation, a leading manufacturer of drum liners, pail liners, intermediate bulk container liners, bag in box liners and flexible packaging, has successfully achieved SQF (Safe Quality Food) Level 2 Certification at both manufacturing facilities. The Flexible Packaging Group facility received a score of 97, the Drum and Pail facility received a score of 95. SQF is a HACCP (Hazard Analysis Critical Control Points) based food safety program recognized by GFSI (Global Food Safety Initiative). SQF certification is a food safety standard that is comparable to BRC (British Retail Consortium) and FSSC 22000 (Food Safety System Certification). The SQF certification program ensures that products have passed thorough international standards for food quality and safety. SQF is recognized by retailers and foodservice providers around the world who require a rigorous, credible food safety management system. “CDF’s SQF Level 2 Certification further demonstrates our commitment to exceed the existing basic food safety and quality expectations. Each step throughout our various processes engages our employees in the food safety culture. This certification reinforces to our customers that we are committed to being a reliable packaging supplier within our various supply chains,” says Tom McCarthy, Flexible Packaging General Manager at CDF Corporation. CDF has 30 quality and food safety programs in place, the following are some of the programs: Document Control, Management Audits/ Monthly Audits, Good Manufacturing Practices, Pest Control, Chemical Control, Storage and Handling, Training, Quality Control, Customer Quality/Complaint Management, Traceability, Hold and Release Protocol, Glass and Brittle Plastics, Sanitation and Maintenance. CDF is committed to making food safe products for all customers. With food safety as a priority, CDF customers know there is no risk in using CDF products for in-process manufacturing or as a finished consumer package. CDF Corporation, a global company that specializes in the manufacture and sale of high quality pail liners, drum liners, intermediate bulk container liners, bag in box and flexible packaging, will display packaging solutions at the Association of Dressings & Sauces Technical Meeting in May. The Association of Dressings & Sauces Technical Meeting will be held May 1st to the 3rd at the Hyatt Regency Savannah in Savannah, Georgia. The technical meeting includes varied technical sessions that provide know-how and solutions for dressings, sauces and other condiment product manufacturers and suppliers. Representing CDF will be Product Manager Joe Wanner. CDF’s newest products, the Smart Pail™ and the EZ-Flo™, will be on exhibit at the ADS Information Open House on Monday, May 2nd. The Smart Pail, a plastic pail replacement system, was developed to offer a more sustainable and cost effective system for transporting semi-viscous, solids and some liquids traditionally shipped in plastic pails. The Smart Pail is a semi-rigid, flexible vacuum-formed plastic liner with a unique wide-mouth laminated peel-reseal lidding film structure offering tamper evidence, easy open-close, excellent oxygen barrier and efficient disposal. The Smart Pail is inserted into a specifically designed corrugated box and stacked 48 units per 40” x 48” pallet for transportation. The EZ-Flo Dispensing System is an environment-friendly dispensing alternative to traditional squeeze, pump and spray bottles. The EZ-Flo’s innovative dispensing system uses patent pending technology to dispense products of various viscosities without the assistance of gravity. The system is cost effective, reducing waste, time and labor, while improving overall productivity. The stacking test is performed to ensure the packages are strong enough that they will not collapse. For the stacking tests, two filled packages of the same type are placed on the test sample. The stacked packages must maintain their position for one hour. CDF’s bag-in-box package passed the stacking test at 303.9Kg – 24 hours. The vibration tests are done to simulate the package traveling by motorized vehicle. For this test, the packages are placed upright on a vibration platform. The packages are constrained horizontally to prevent falling off the table, but can move vertically to bounce and rotate. Immediately following the period of vibration, each package is removed from the platform, turned on its side and observed for evidence of leakage. CDF’s bag-in-box package passed the vibration test at 4.1Hz – 1 hour.